Sam and I celebrated my birthday at Seersucker in Carroll Gardens this year. Robert Newton, Seersucker’s chef/owner, is from Arkansas, so he makes incredible southern food. We ate fried oysters and red eye gravy and grits. It was heaven. 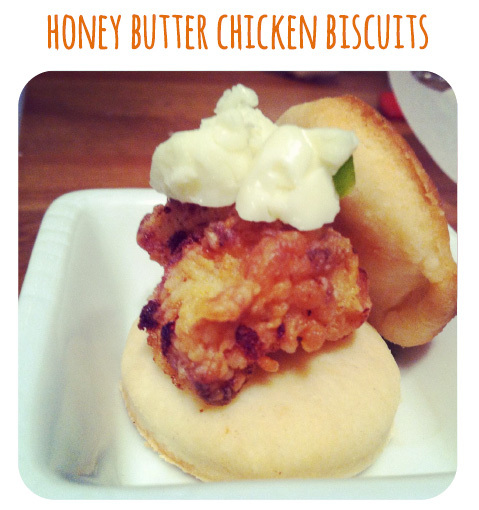 Dinner started with these delicious biscuits and MOLASSES BUTTER. 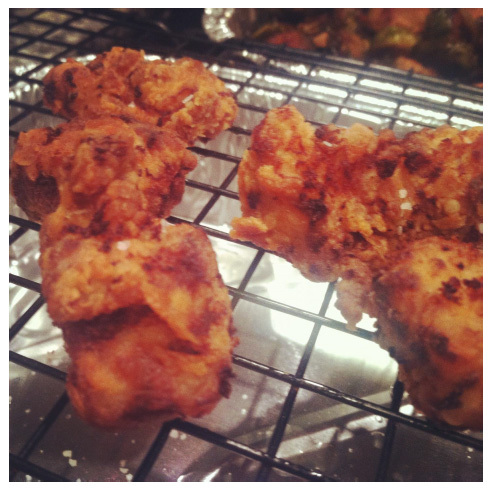 We gobbled them up and I knew I had to recreate them soon! 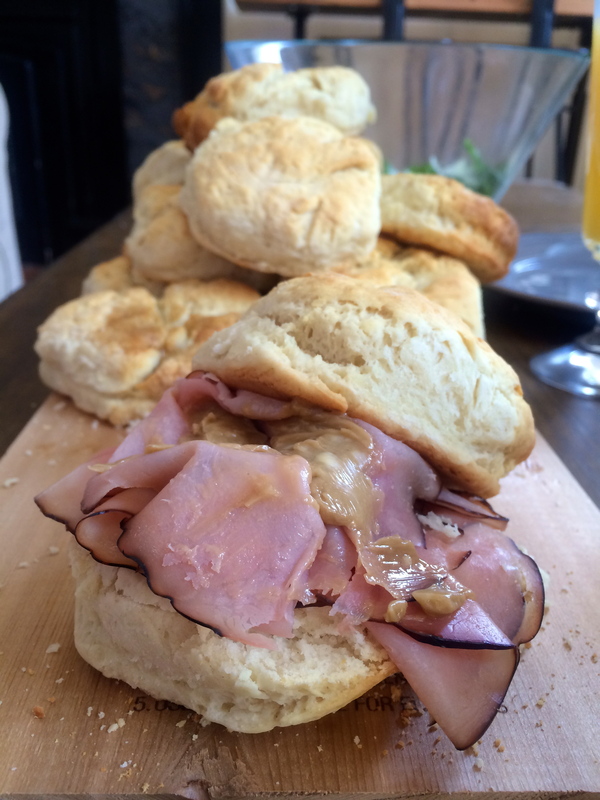 We topped these biscuits with thinly sliced maple ham for an Easter feast. You can see our whole Easter brunch spread here. Preheat your oven to 425˚F. Line a sheet pan with foil and brush that with butter (or spray!). 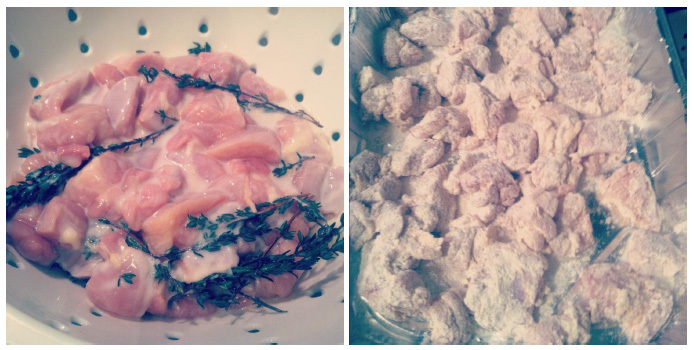 In your stand mixer, add the dry ingredients and mix. If you’re worried about cake flour, here’s a tip: Cake flour is just all-purpose flour with cornstarch. 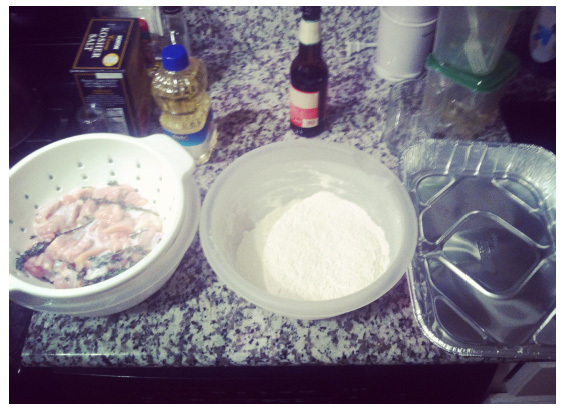 Replace 2 Tbs per each cup of flour with cornstarch and voila! 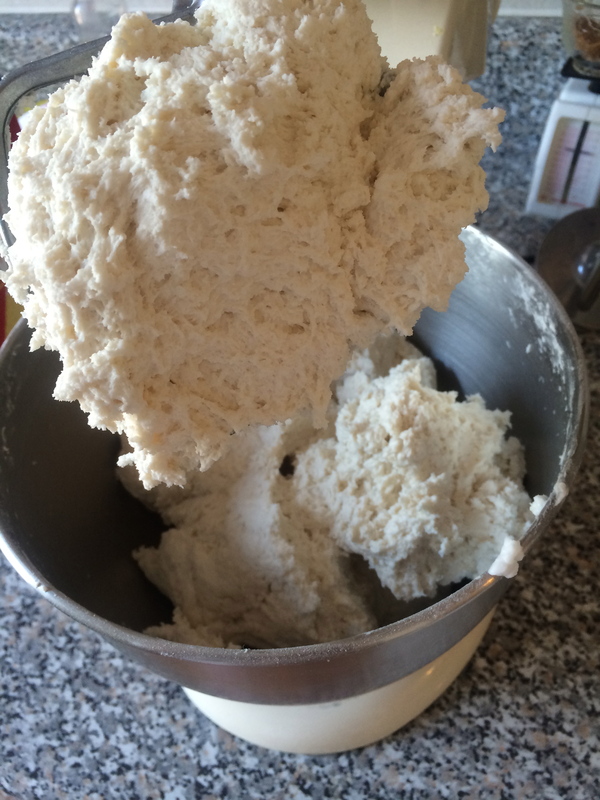 Once the dry ingredients are mixed, add the shortening, mixing until the flour looks like pebbles. Add the cold buttermilk and mix well. 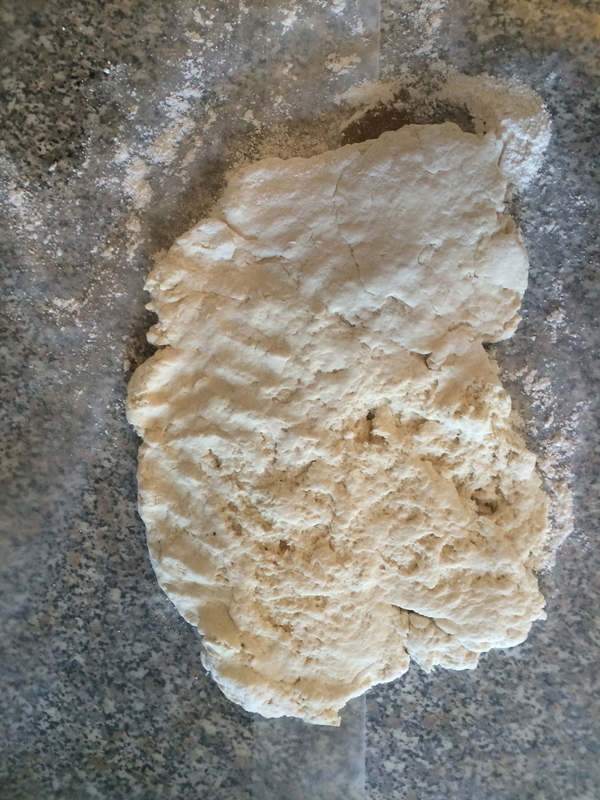 Turn your dough out onto a well-floured surface. The dough will be wet, but I didn’t even need to use a rolling pin to get these to the right thickness. You want your dough to be about half-inch thick. 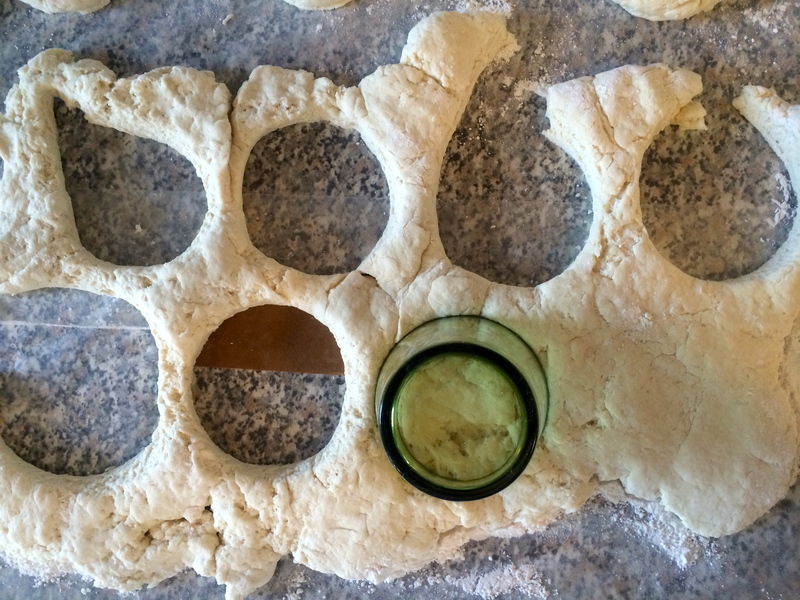 Use a biscuit cutter (or a cup if you’re a simple girl like me) to cut out ~12 biscuits. 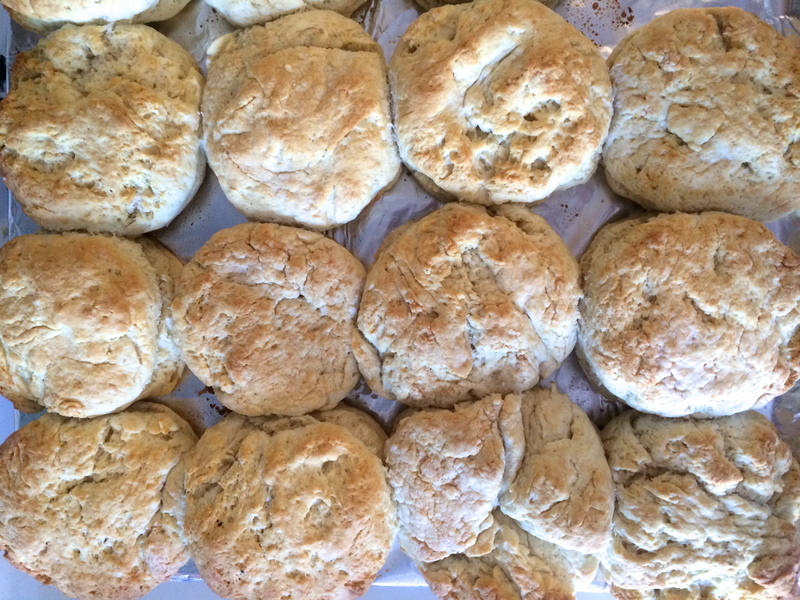 Place the biscuits on your foil-lined sheet pan, allowing them to touch just slightly. 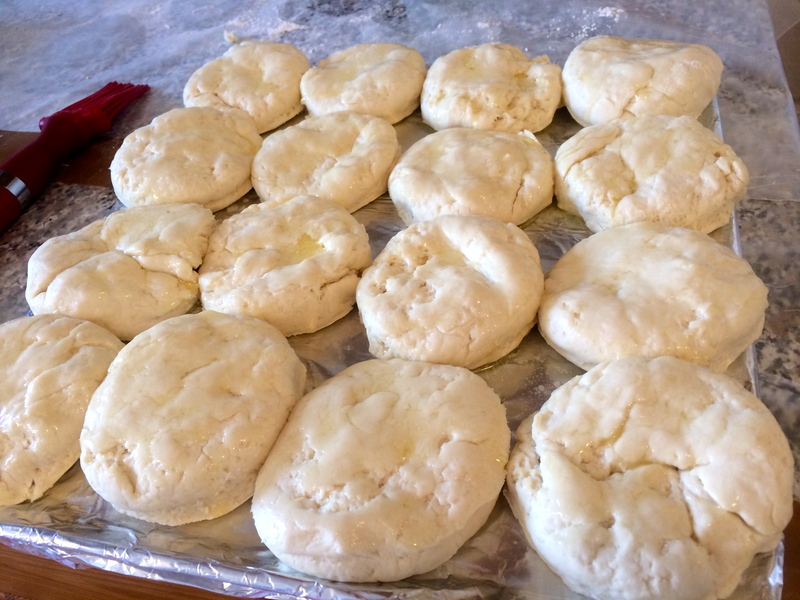 Brush the tops of the biscuits with melted butter and sprinkle with kosher salt. Bake at 425˚F for 12 to 15 minutes until the tops are golden brown and yummy. Ok y’all, this is easy. 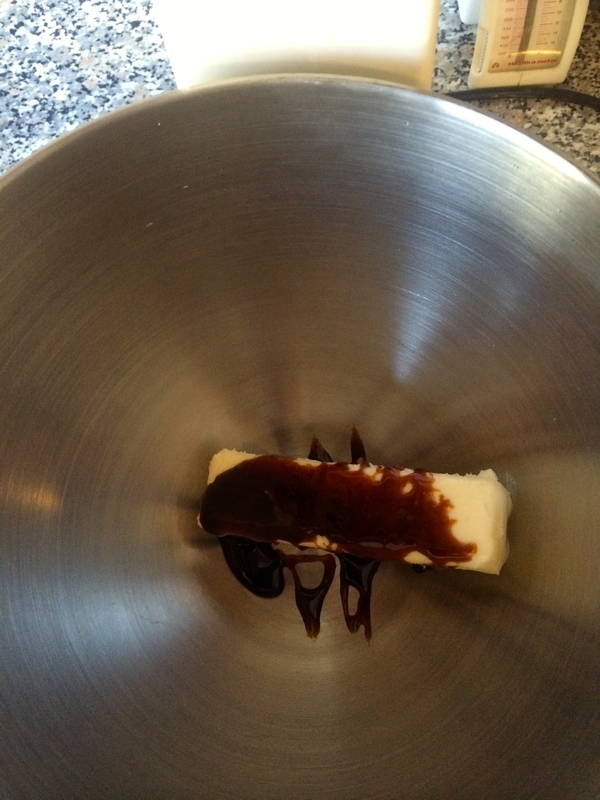 Soften the butter, put it in your stand mixer, and mix it until it’s whipped. Add the molasses and salt and mix until combined. 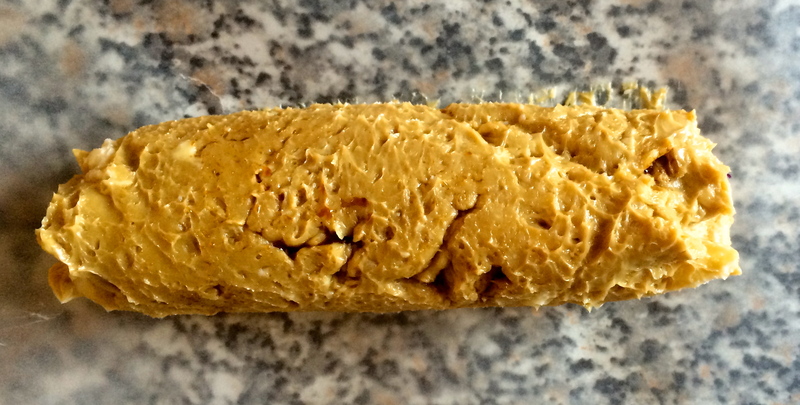 Spread the butter onto wax paper and shape into a cylinder. Wrap it up and twist on both sides, then pop this in the fridge to harden!